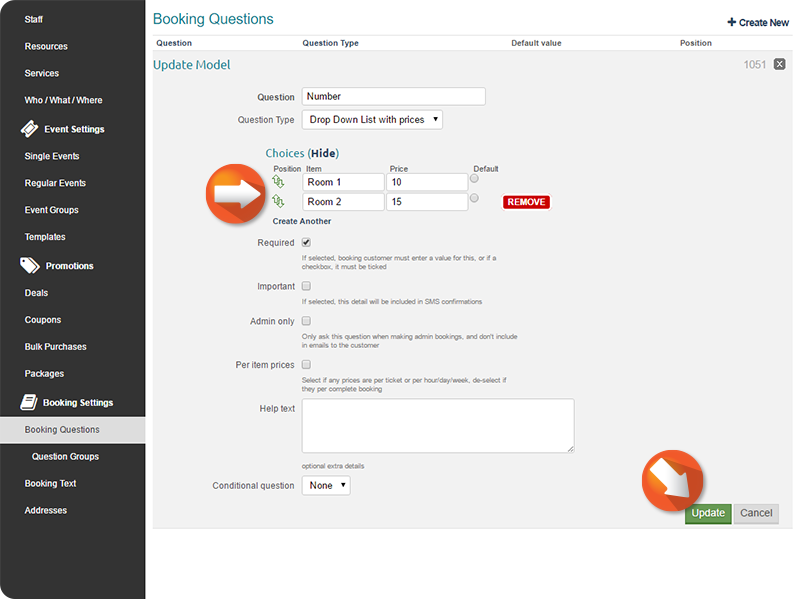 These are questions that are asked each time a booking is made, these are answers that are then stored against the booking details. Booking questions with prices can be used if you wanted to have additional items that can be selected outside of a service e.g 'Court Hire' and wanted to add the option of Tennis Racket Hire £7 each or perhaps purchasing 5 Tennis Balls for £5. 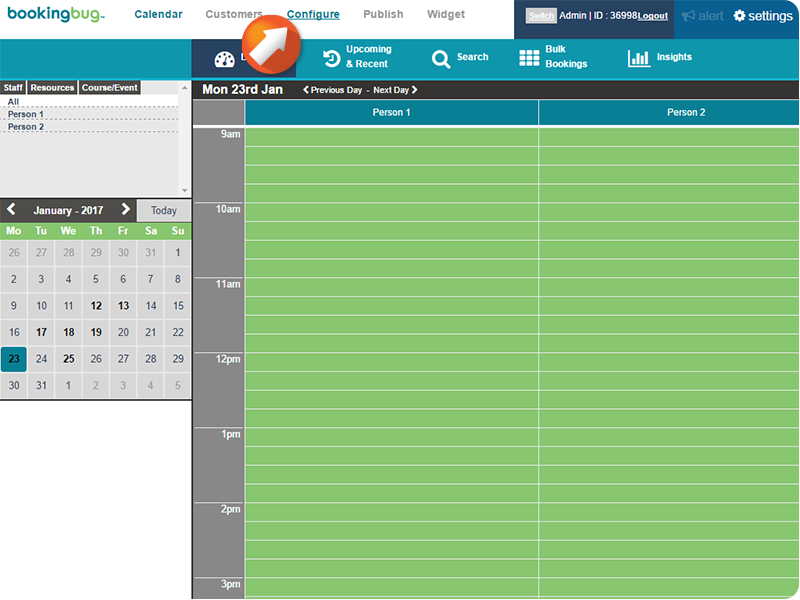 Click Create New or Edit next to the desired Question. 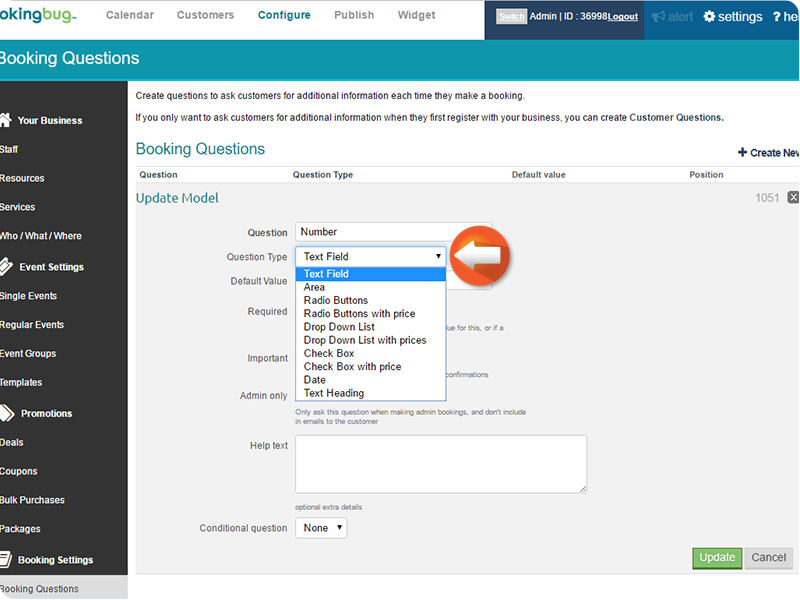 Choose the Question Type as Radio Buttons with Price, Drop Down List with Price or Check box with prices. Enter your prices for each Item. 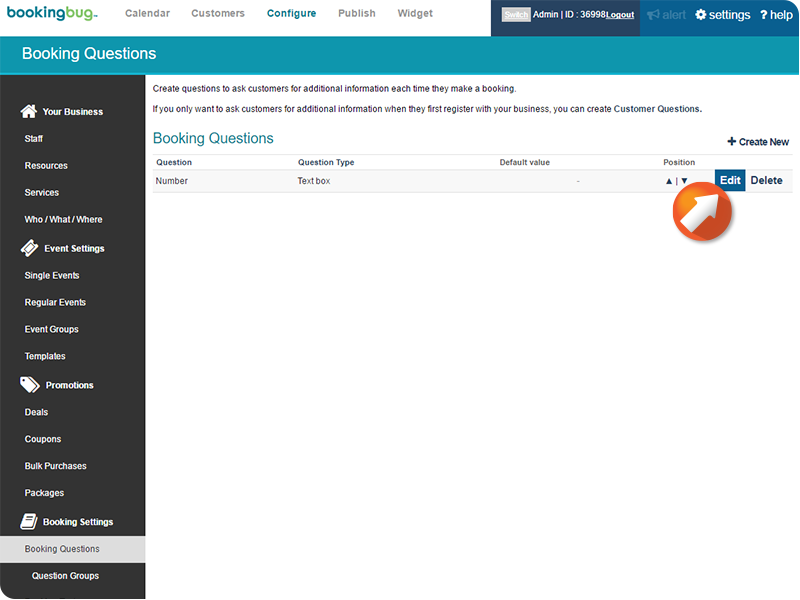 When your customers come to the booking page, they will be presented with these questions. 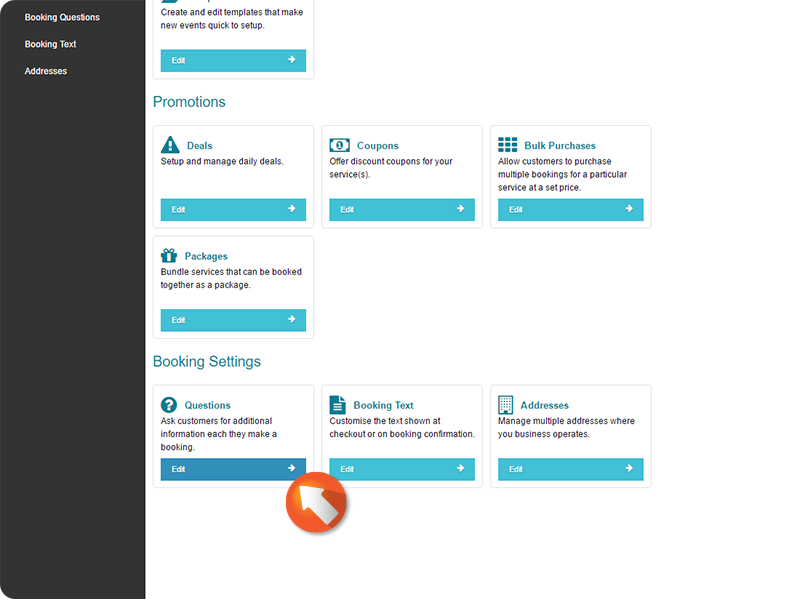 For each option they pick, you will see the total price updating.